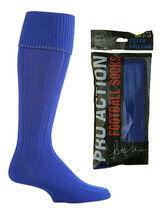 DESCRIPTION: MENS PETER SHILTON FOOTBALL RUGBY HOCKEY SOCKS Product Features: These knee high football socks are made with extra softness and stretch which is essential when playing sports, especially football, rugby and hockey. 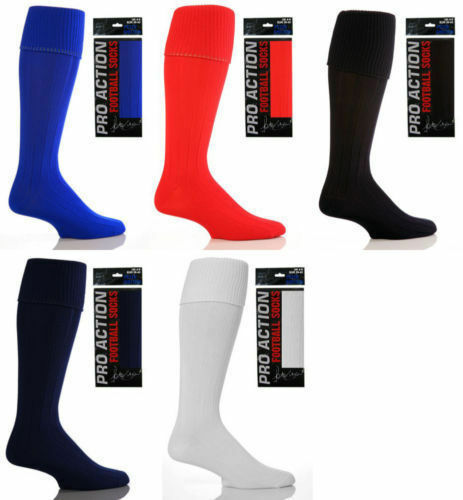 Colour: Royal Blue To fit Foot size: 6-11 uk Boot, 39-45 eur, 7-12 us Pack Size: 1 pair Fibre Contents: 100% NYLON Machine Washable WE POST WORLDWIDE! LOTS OF OTHER SIZES AND COLOURS IN SOCK SNOBS SHOP Check out my other items!